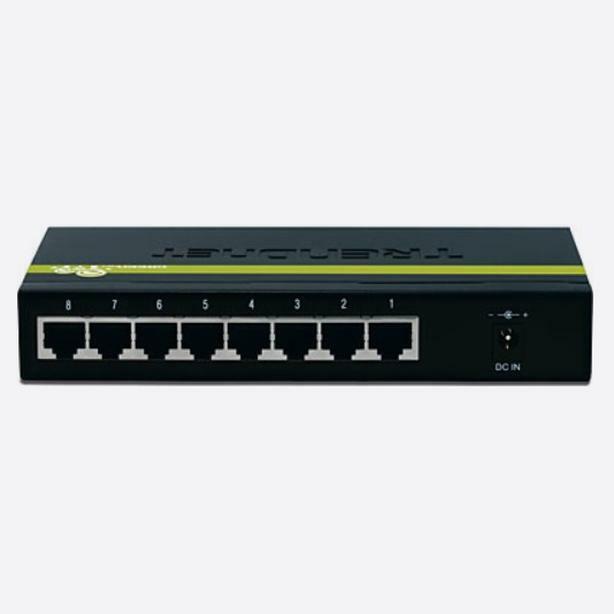 The compact 8-Port Gigabit GREENnet Switch provides high bandwidth performance, ease of use and reliability, all while reducing power consumption by up to 70% (compared with standard TRENDnet switches). GreenNet technology automatically adjusts power voltage as needed, resulting in substantial energy savings. 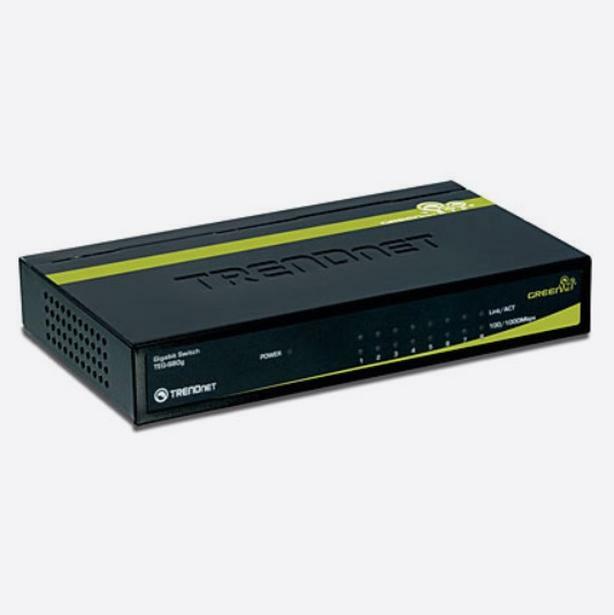 Boost your office efficiency and eliminate network congestion with Gigabit speeds and total switching capacity of 16Gbps with Full-Duplex Mode. 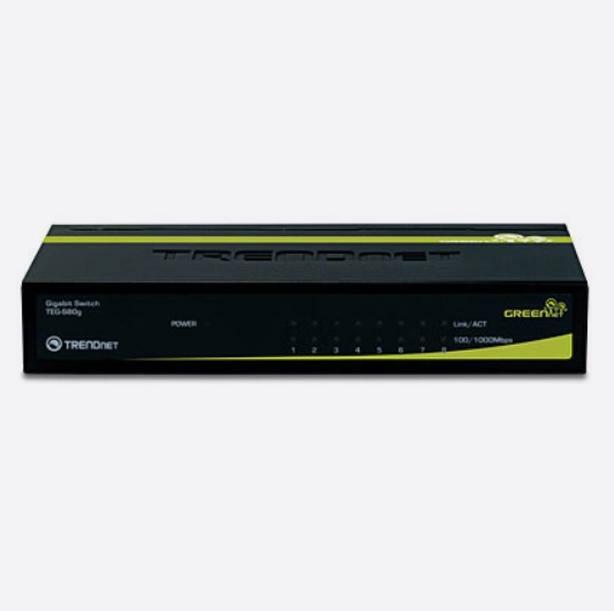 GREENnet technology reduces power consumption when: Ethernet port is not in use; connected device is turned off; connected device is in power-saving mode.